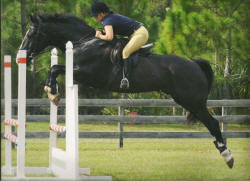 Palmer Equine is based in Palm City, Florida and we cover all of Florida, all year round! When I come to assess your saddle fit, please be prepared to ride and have your horse ready and clean. The Saddle needs to be taken to my workshop to be completed. I aim to do this and have the saddle back to you within 5 days.